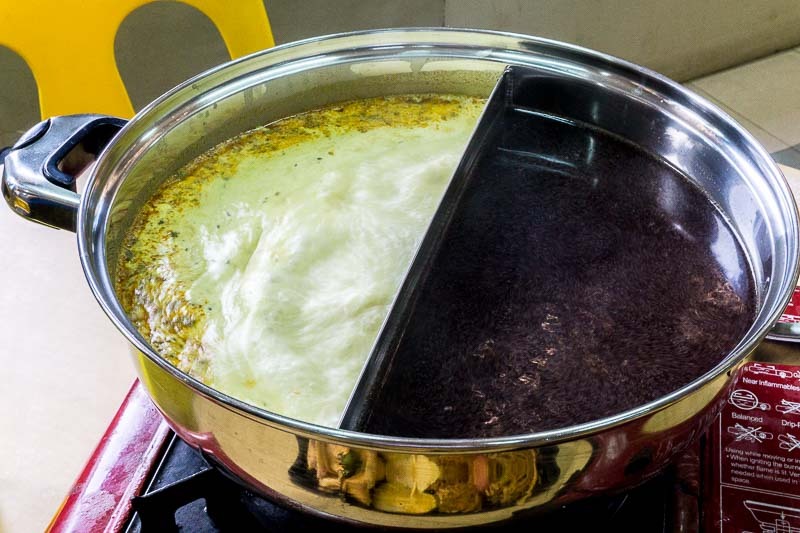 For those unfamiliar, lok lok is a popular street food found in several parts of Malaysia. 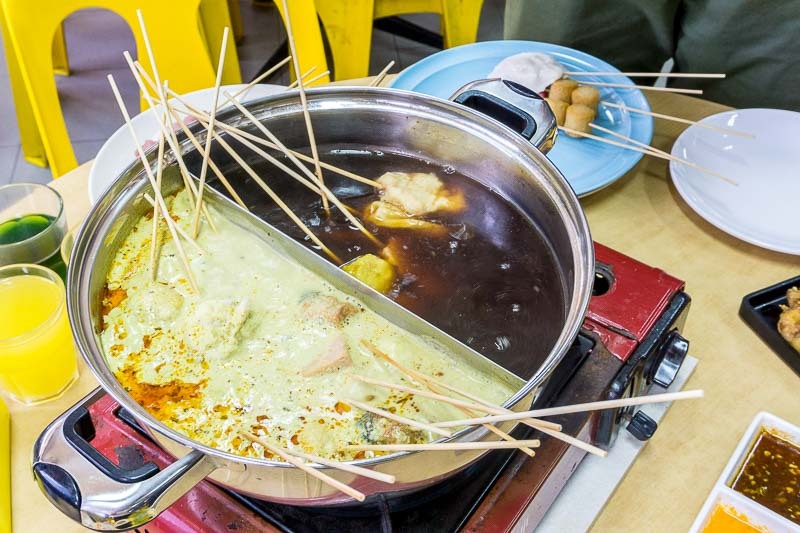 Just like Thai street food, it’s slowly making waves here in Singapore. We’re known to have a penchant for fried food and steamboats, and with Zaolek Lok Lok in MacPherson, you get the best of both worlds. 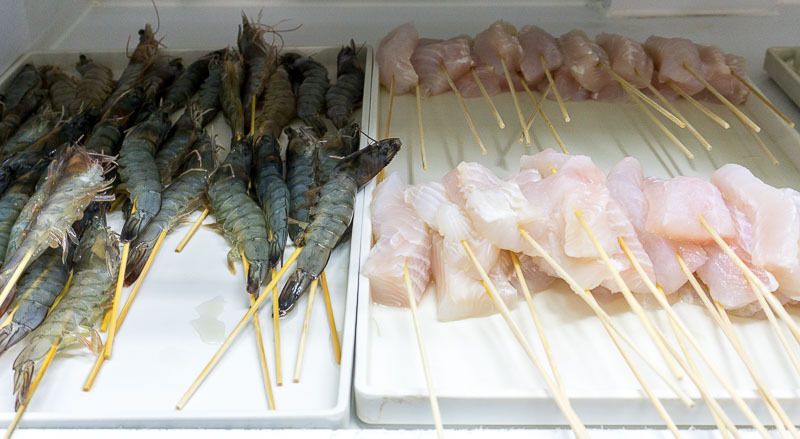 In fact, you’ll get to also enjoy their selection of meat, seafood and vegetable grilled skewers! It might be a bit of a doozy trying to locate Zaolek Lok Lok, given that’s snugly hidden in an industrial building, but that’s where its charm is. Their lok lok buffet is especially appealing to students at only S$20 nett from Tuesdays to Thursdays. Adults need only fork out S$24 nett, while children’s buffet price will only set you back S$12 nett! 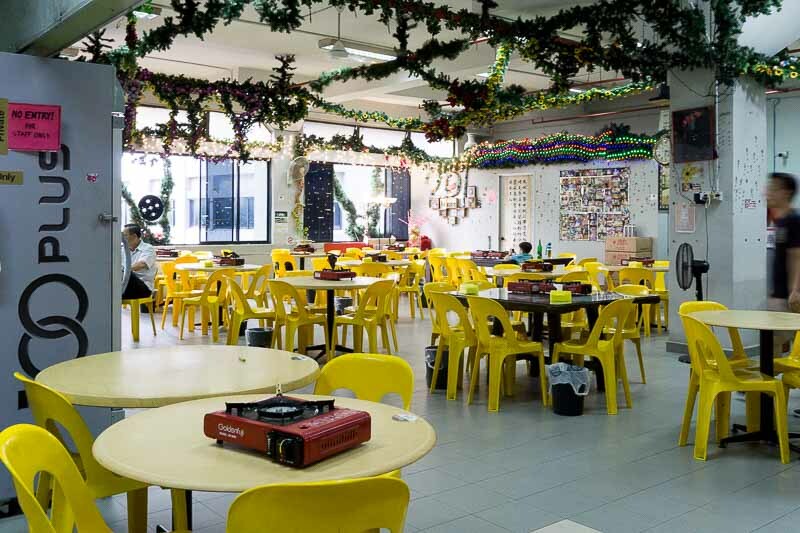 From Fridays to Sundays, however, prices cost a bit more with adults at S$27 nett and children at S$13.50 nett. Not keen on signing up for the buffet deal? 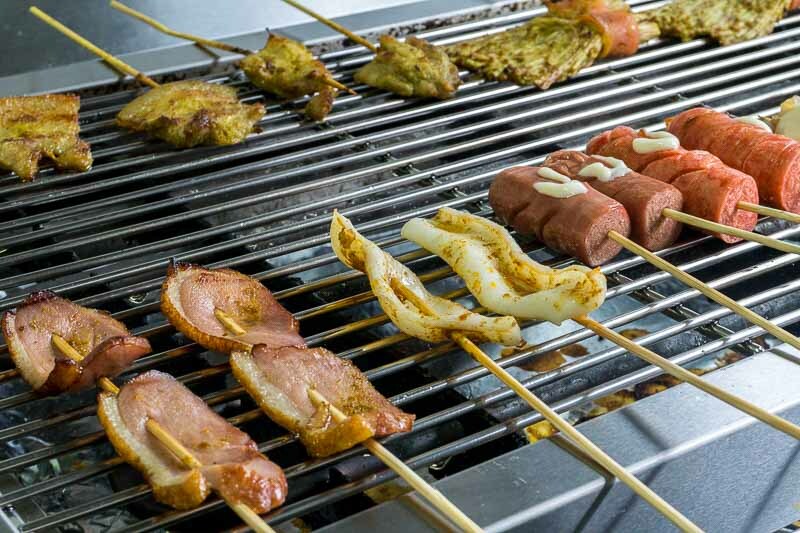 You can also pick and choose each skewer at a la carte prices of S$2 nett per three sticks. 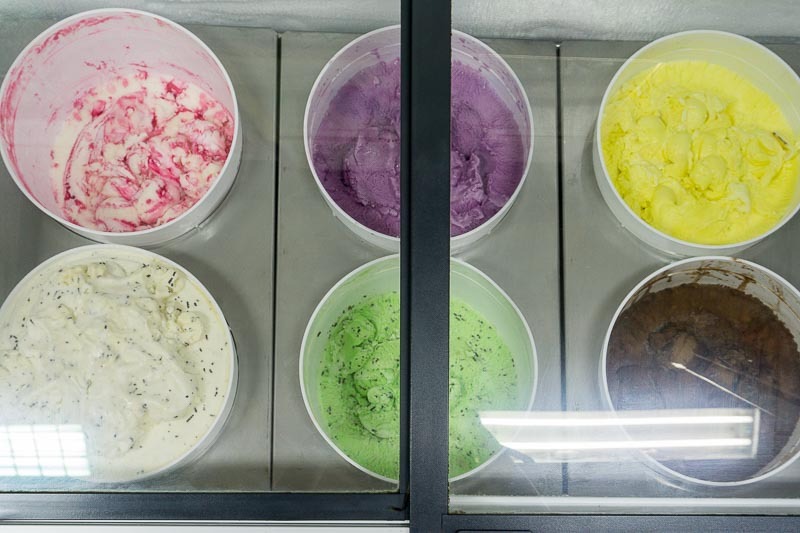 They serve six different types of soup bases, and you can select two for your table. 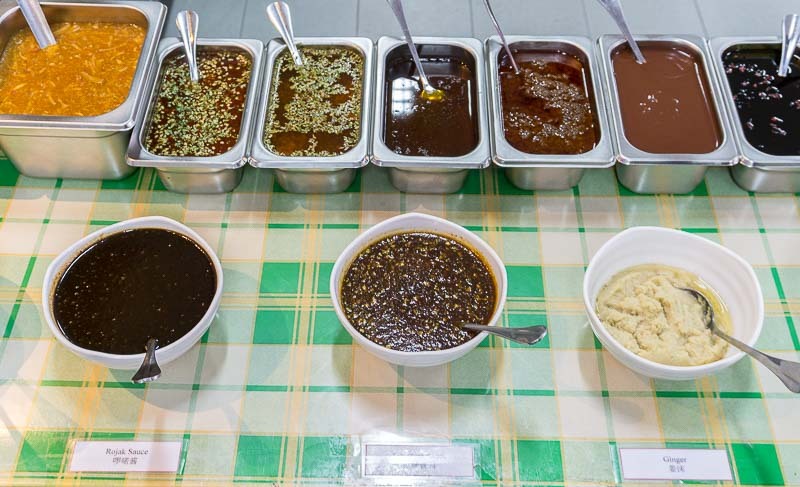 Pick your fancy from Chicken, Bak Kut Teh, Laksa, Ma La broths and a free-flow option of Satay Sauce. We went with Laksa and Bak Kut Teh. What’s interesting is that the Bak Kut Teh soup base is made with chicken bones. So if you have friends who can’t take pork, this is a good option. They were even helpful enough to point out which meats were pork-free to our diner, which was very kind of them to do so. There’re plenty of skewers to choose from — more than 60 types to be specific — along with a range of homemade sauces. One of them is even labelled ‘Special Sauce‘, deemed to be highly-popular. When asked what the ingredients are and what makes it special, we were denied any information. Perhaps you can try your luck! 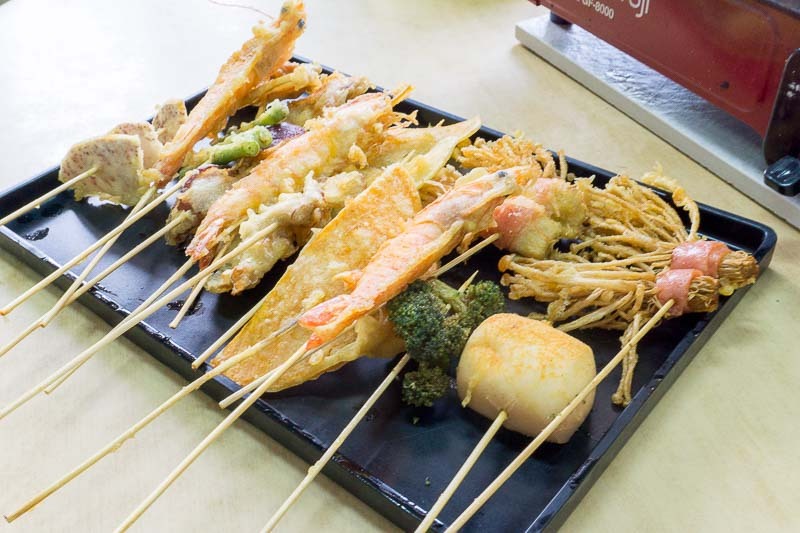 We selected a small portion of skewers like sweet potato, mantou, mushrooms, vegetables and even prawns for deep-frying. 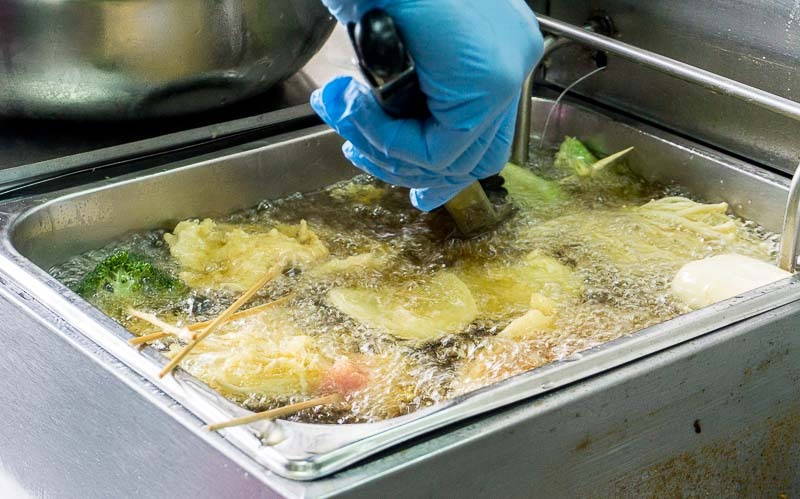 There is a cap of 12 skewers per round of deep-frying, to ensure each batch can be consumed while still hot and crispy. They are slathered with tempura batter that’s been seasoned with an almost-peppery seasoning (which wasn’t divulged to me) and proved to be really addictive, especially when fresh from the fryer. 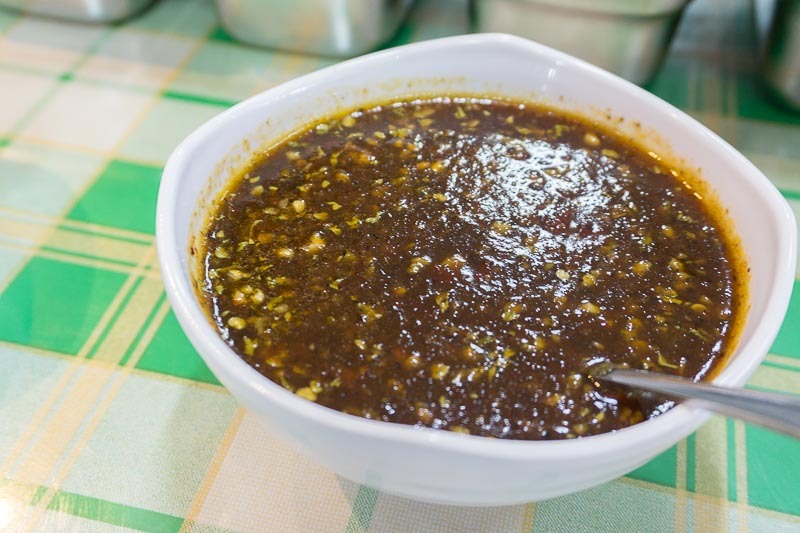 We tried the Special Sauce, and we totally understood why it’s such a popular choice. 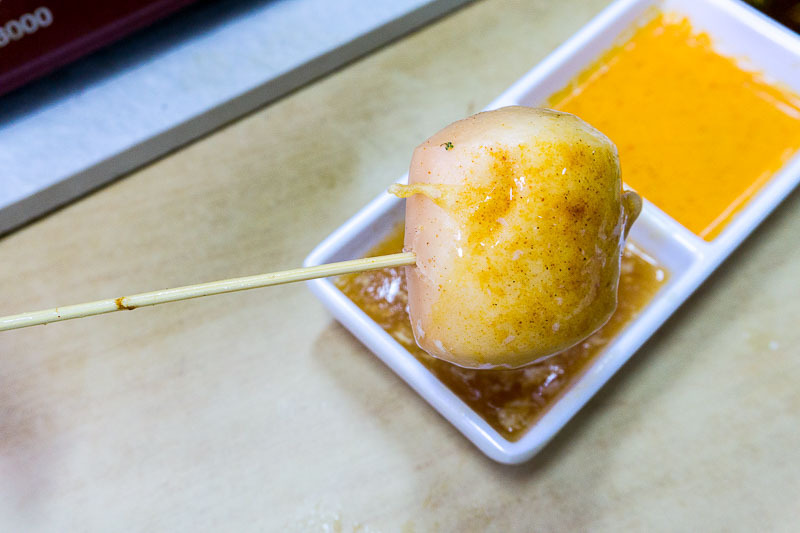 The sauce was savoury and sweet, perfect for the skewers regardless of whether they were deep-fried or grilled. We also tried their homemade Chilli Crab sauce, which had bits of crabstick meat in it. Sadly, the sauce lacked body and was too sweet for our liking. As for the grilled items, we went with more protein like squid, duck, chicken and sausage. They were grilled beautifully, and could easily be paired with one of the many sauces (yes, even that Special Sauce!) 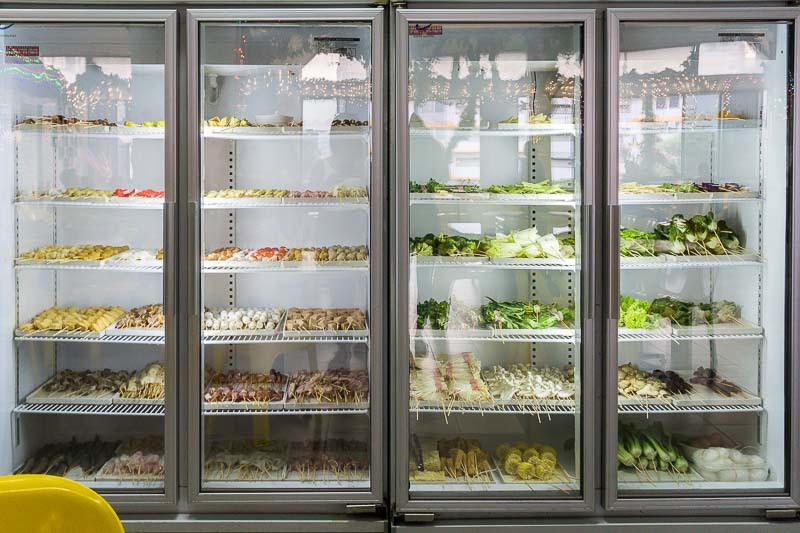 that diners can find near the buffet line of refrigerated skewers. Shifting our focus to the steamboat before us, we excitedly waited for the remaining skewers to be cooked as we enjoyed the grilled and deep-fried items first. The Laksa soup base was rich and creamy, and became tastier the longer we slow-boiled it and with more ingredients added to the soup over the course of our meal. The Bak Kut Teh soup base was neither peppery nor herbal, and proved to be too mild to appeal to us. 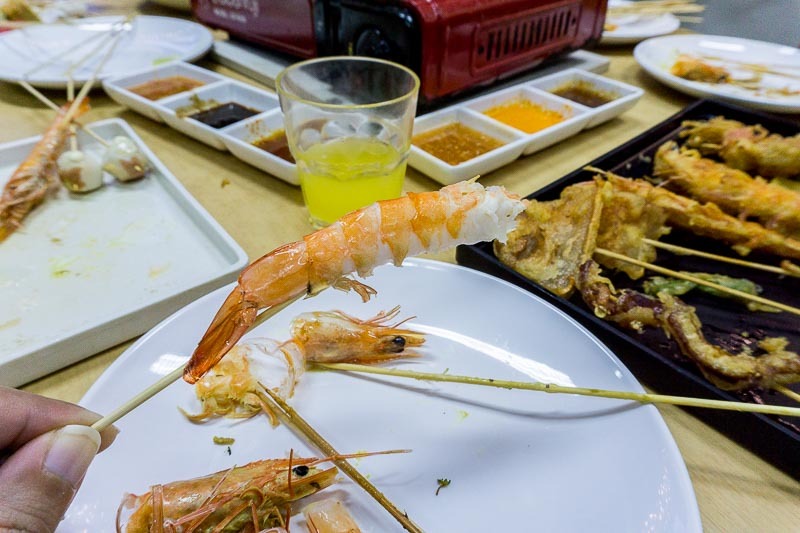 But what I was personally most impressed by was how fresh the prawns were; they slid out of their shells effortlessly and were sweet and bouncy. The bonus is the free-flow ice cream that they provide, ending our meal on a sweet note. Students will especially love the attractive low price on weekdays at Zaolek Lok Lok. If you’re looking for a less crowded buffet place for you and your friends to hang out, this would be ideal. Large families will also love the various options and variety of skewers, so there’s something for everyone. 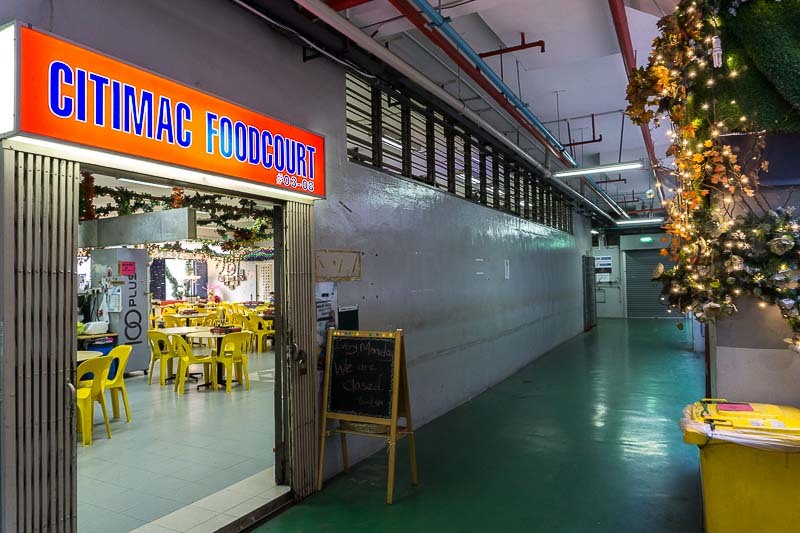 As for me, I don’t see myself frequenting the MacPherson area much, so perhaps I wouldn’t make a return to Zaolek Lok Lok. 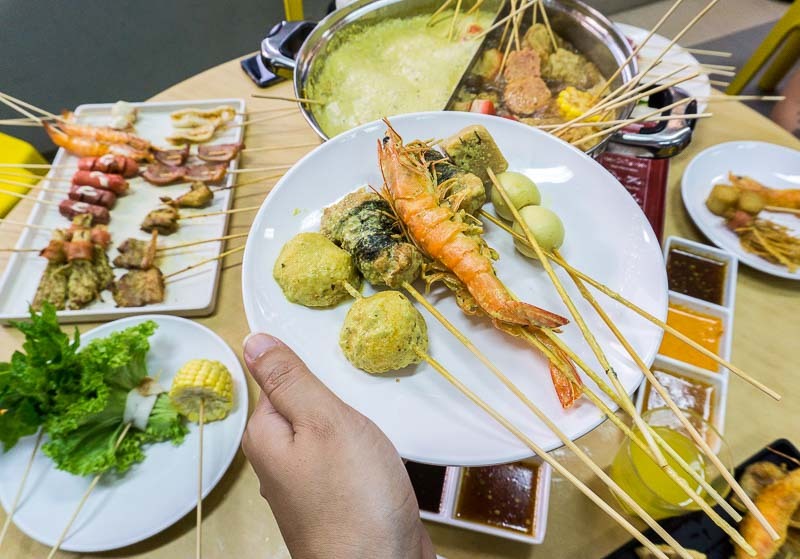 But this hidden lok lok buffet spot is definitely a draw for those looking for a great deal away from the bustle of the usual dining crowds.